Manufacturing, Trading and Exporter of Solar Panel, Solar Water Pumping System, Solar Power Plant and Solar Water Pump. 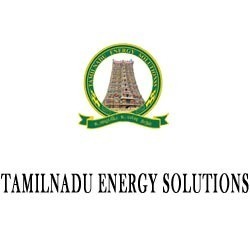 Tamil Nadu Energy Solutions established itself in the year 2011 at Tamil Nadu, India. Our ownership is “Private Limited Company”. We possess our dominion expertise in manufacturing, wholesaling, exporting and supplying of Solar Panel, Solar Water Pumping System, Solar Power Plant and Solar Water Pump. Thrifty prices and durability makes our products a first choice amongst our clientele. They are crowd-pleasing because of their contra distinct range and superior quality. We export our produce to many nations all across the globe via our strong distribution chain. We export our products in Kenya, Uganda, Middle East Asia and other countries. 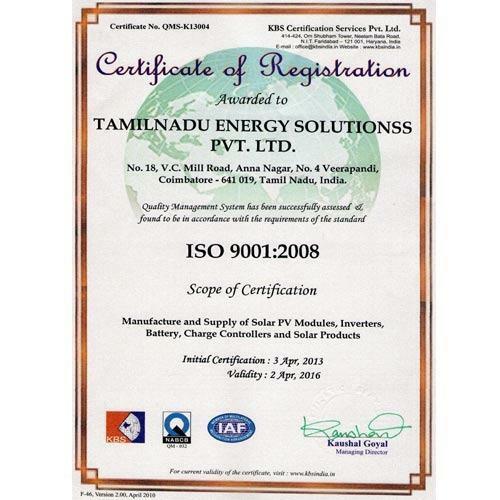 Tamil Nadu Energy Solutions is forging ahead and reaching new verticals in the industry as a Super-Jock. The secret behind our prominence in the industry is Mr. P. Amar Nath. He is the Director-Technical of our company. He timely conducts training and educational sessions to our employees in order to foster in them zeal to achieve set targets. His wealthy experience and growth fostering ideas have played a vital role in bringing our organization to the desired heights. Every day, clients’ and market’s stipulation is increasing. To purvey client's ultimatum, we are backed by latest and newfangled machinery in our infrastructure. These machines have hassle free operations with time saving capability. It also reduces labor costing charges. Our elite and state-of-the-art infrastructure has enabled us to meet set targets within given time range. Without all of these amenities, prompt delivery wasn’t this much easy. A well-built building backs us in terms of infrastructure. This building is segmented into various departments for execution of various tasks with a supply chain management. Our infrastructure is spacious enough to meet bulk requirements of our clients within prompt time. We have taken care of our employees in terms of convenience by installing safe and hassle free machinery. We have state of the art infrastructure with huge warehouse equipped with topical and easy to use machinery which reduce labor cost and saves time. With production unit, we are also backed by a quality testing unit, R & D unit, logistic, warehouse and packaging, sales and support unit. We manufacture our products with keeping in mind the standard compliance as we cater to international market also. With our state-of-the-art infrastructure, we are able to meet bulk order of our clients within stipulated time. Our products are in huge demands due to their worthier quality nationwide. Just generating a lead from client’s end is not our business. 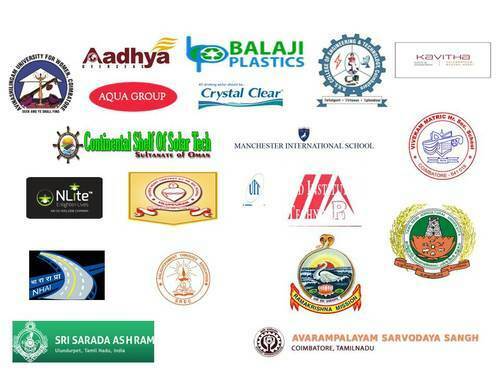 We believe in establishing a long term corporate relation with them. Our vast range of products and superior quality supplied from our vendors’ side give us a vertical stand over competitors. To avoid damage and breakage while shipment, we use quality packaging materials which gives them a premium look and safe custody. 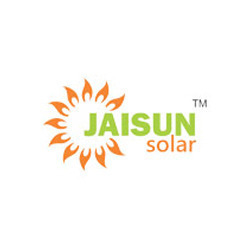 Jaisun Solar is our own brand.